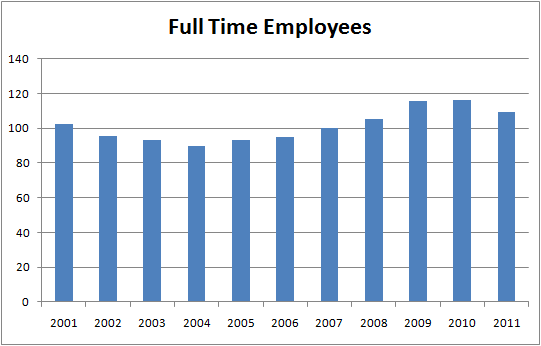 At the end of 2010, The City of Monroe had 116.5 full time equivalent employees (FTE). That's up 27 from Monroe's low in 2004. Today there are just 109.5 full time equivalent. The method for calculating FTE is 1.0 for each full-time employee and .50 for each part-time and seasonal employees. The current head count is 105 FTE and 9 part time or seasonal employees according to city manager Bill Brock. 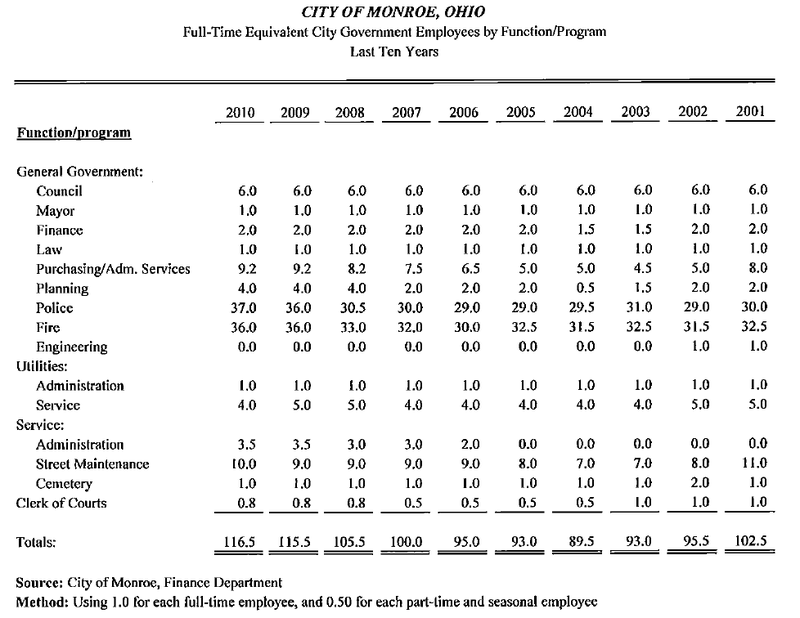 At the end of 2010 $67,000 was the average annual cost per Monroe city employee. 14 leadership positions are an average cost of $101,000. Administration staff 15 positions average a cost of $58,000, Dispatch’s average is $43,000, Operator/Laborer’s average is $47,000, Patrol Officers and Firefighters’ average is $77,000 to $78,000. These include wages and benefits. See chart below for year end head count.